Driving into the cul-de-sac for this open house felt very familiar. Not too long ago I visited two University Park open houses, and I was drawn to the parks that surrounded them. This time I found the same appealing cul-de-sac with mature trees and mild breezes. 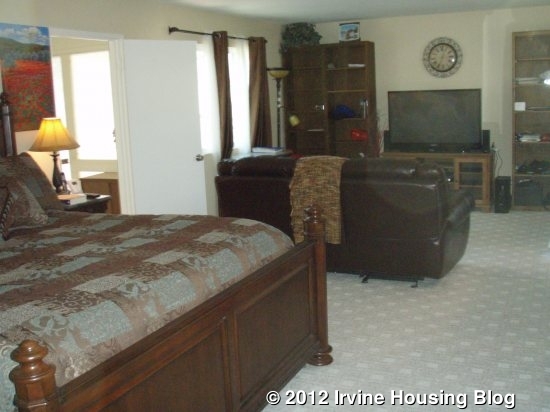 I was curious about the specifics of this single family home at 18 Foxglove. 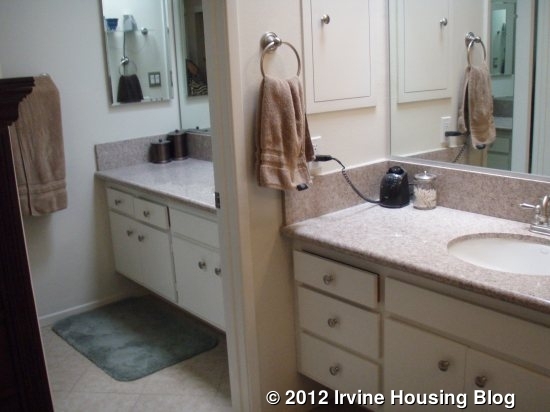 This 2852 sq ft home with 4 bedrooms and 2.5 bath seems to generate questions. Inside I found more to consider. The floors are the first thing that you notice. Hand scraped wood floors paired with carpet and stone tile provide an attractive stage for the house. Throughout the home there is a sense of pride and involvement. The living room with good-sized brick fireplace, dining room and family room are all nicely positioned. But the kitchen is the real standout. This may be the hub for this busy household. Ultra Craft cabinets with soft close hinges, granite counters, a 48 bottle temperature regulated wine cooler and all new stainless appliances including a convection oven, double oven and microwave, give the kitchen a lot of ‘can do’ energy. Stationed between the dining room and the family room, everything probably starts here, from having guests in for dinner, to whipping up snacks for an evening of movie watching. All of the bedrooms are upstairs, and the master suite is a unit unto itself, large enough to encompass a complete entertainment area with no effort. There is a fireplace, skylights, dressing room and bath. The home has dual paned energy efficient windows, full copper plumbing, inside laundry, a double garage, and whole house fans and ceiling fans. Lot Size: 3,200 sq. ft. Considerations and comparisons: How this property will play out with the recent price reduction is the question. The ample floor plan with 2852 square feet of upgraded living space and a location near a regional park in a valued community looks promising. On the down side, there are no bedrooms downstairs for older family members or guests. Some potential buyers might wish that they could redistribute some of the 180 square footage added to the master, but others might find the master to be just right. 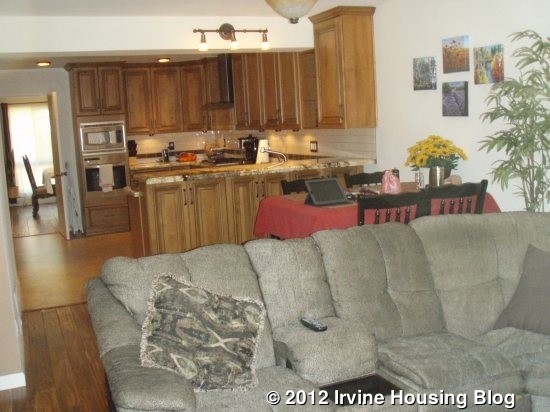 The sparkling kitchen and comfortable living room, family and dining room all work well. Outdoor space is inviting, but a little tight. Perhaps the University Parks, pools and tennis courts offer a good counterbalance. Who will settle at 18 Foxglove? 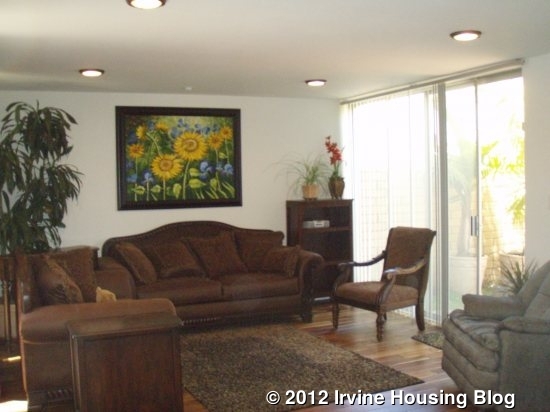 Someone who is attracted to the University Park community, with UCI and many urban attractions just around the corner, will see this property as an opportunity. Families with active children will welcome the nearby parks as a family centered resource and will be drawn to the excellent school system. 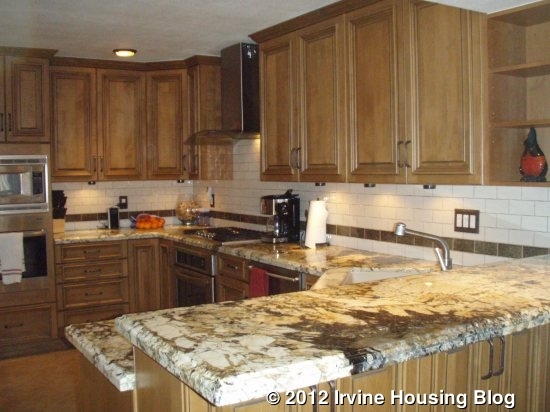 Professionals who work in or near Irvine might choose this house for its ample size and many upgrades. Recent sales of similar nearby properties: 21 Cypress Tree Lane sold in May for $700,000; 4501 Pinyon Tree sold for $735,000 in March. Current listings of similar properties: 42 Gillman is listed for $715,000; 8 Rainstar is listed at $889,000. 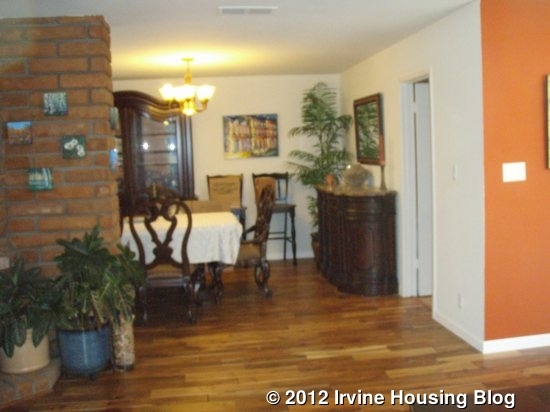 This entry was posted in Real Estate Analysis on August 7, 2012 by SMS. Agreed! The house has been set up for the family and guests to enjoy.